HOLT COMMUNITY CHOIR: under the direction of Mark Jones; every Thursday at 6.30pm – 7.30pm; a choir for all who love to sing. In the church hall; £1 pp. COFFEE MORNING MONDAY: every Monday morning in the Meeting Room, 10am-12noon. All welcome. BIBLE STUDY GROUPS: usually on the 1st and 2nd Thursday of each month: 1st Thursday at 11.00am at High Kelling and 2nd Thursday at 5.00pm at 4, The Beeches, Station Road, Holt. All are welcome. For more information contact Eleanor (710617) or Fr Howard (712048). Bible Study, kindly hosted by Denis and Ute Sutcliffe at 4 The Beeches. 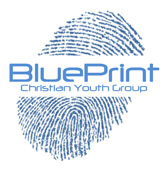 Please note: second Thursday of the month at 5pm: There will be no Meeting in April. The next date is May 9th when Fr Howard will discuss the way forward for the group and he will also lead us in a short Bible Study. 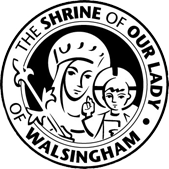 CELL GROUP OF OUR LADY OF WALSINGHAM: meets every 3rd Saturday of the month for the Eucharist at 9.30pm followed by devotions. NEW ART & CRAFT GROUP: 10.00am to 12.00pm, every Thursday in the Meeting Room, £3 per session including tea and coffee, all welcome, see Jean for more details. 712407. EASTER BREAKFAST: on Sunday 21st April in the church hall following the 5.30am Easter Vigil Service; if you are coming please add your name to the list at the back of church. Cost £7 payable on the day. DATE FOR YOUR DIARY: ANNUAL MEETINGS: will be held on Tuesday 30th April at 7.30pm in the Church Hall; coffee available from 7.00pm. 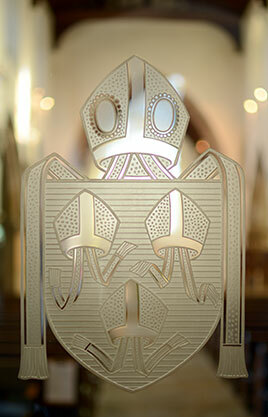 The Annual Vestry Meeting is an open meeting primarily to elect the Churchwardens of the Parish. The Annual Parochial Church Meeting which will follow is a meeting for those on the church Electoral Roll to consider the annual reports and accounts and to elect members of the PCC & DCC & Sidespeople. CONCERT: Tale Dolce Musica in concert at 7.00pm on Saturday 4th May; music by Mozart, Hyden & Bach. CONCERT: StART Concert Saturday 11th May at 6.30pm in church. More details to follow. North Norfolk county council civic service: Sunday 12th May 3.00pm; in thanksgiving for the current Chair’s year of office. All welcome; because of this service there will be no Evensong at 5.00pm. CONFIRMATION SUNDAY: 26th May 2019; Bishop Norman Banks will be visiting the parish to preside, preach and confirm at the Parish Eucharist. Anyone interested in being confirmed please speak with Frs Howard or Stephen. NATIONAL PILGRIMAGE TO WALSINGHAM: Monday 27th May at which the Archbishop of Canterbury will preach; more details to follow. DATE FOR YOUR DIARY: VISIT TO CAMBRIDGE: Saturday 1st June; once again we will be visiting our patrons’ S. John’s College Cambridge for tea and choral evensong; enjoy some time in this wonderful historic place; depart Holt 10.15am, depart Cambridge by 8.00pm. Cost of travel £10.00; please sign the list at the back of church. Please note this will be a long day departing Holt at 10.15am and returning approx.. 10.00pm. As the coach cannot drop us close to the centre of Cambridge and pick us up from the college long distances of walking will be involved as well as 4 hours spent in the centre of Cambridge before tea at the college. EASTER FLOWERS: If you would like to contribute (£3 is suggested) and donate towards a lily please sign your name and the name of the departed loved one to be remembered on the list at the back of church and give your donation to Sandra Copas or the churchwardens. DISASTERS APPEAL: the Treasurer is delighted to say that he has sent the magnificent sum of £1035 to the Disasters Emergency Committee from the FIRST week of our appeal for help with the affects of the cyclone in East Africa. Thank you to all. ELECTORAL ROLL: A new roll has been published today, available in the church porch. Please note no names can be added or removed between now and the end of the Annual Parochial Church Meeting (APCM). Members of the electoral roll are invited to attend the APCM on Tuesday 30th April at 7.30pm in the Parish Church Hall. For more information please contact our Electoral Roll Officer Janet Dickinson. TRANSPORT TO CHURCH: if you need a lift to and from Church on a Sunday please call Juliet on 01263 712364. PASTORAL VISITING: if you are new to the parish, ill or know someone who is not well and would like a pastoral visit, contact John Allen (588920) or Churchwardens. PARISH OFFICE: will be closed on Monday 15th April.